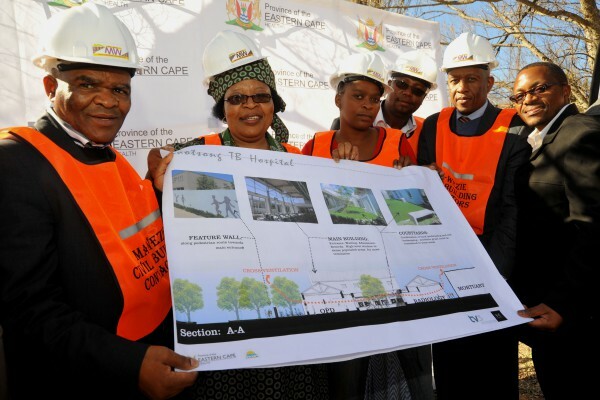 A far-flung rural area is set to benefit from a major R302-million infrastructure injection, as the Eastern Cape department of health breaks ground on the site of a new tuberculosis (TB) hospital facility today. Khotsong TB Hospital in Matatiele will benefit from both an upgrade and a brand new hospital as part of the Department of Health’s three year infrastructure programme to deal with deficient facilities across the province. 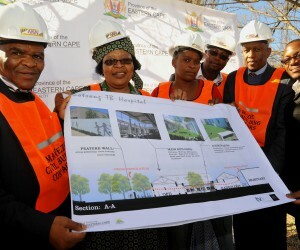 The Coega Development Corporation (CDC) is the implementing agent for the project, which will see a new hospital facility being built on the existing hospital site in Matatiele. The new facility is made up of a 120-bed hospital with general TB and multiple drug resistant (MDR) TB wards. The CDC said its work with the Department of Health was delivering critical services and facilities to vulnerable people throughout the province, particularly in the rural areas. “As implementing agents we are at the forefront of delivery for the department and this is in line with our vision to be a catalyst for socio-economic development in the province, thus benefitting the communities through: access to health care, the creation of job opportunities, ensuring training and development take place together with the SMME support and development that comes through our infrastructure development programmes,” said Ayanda Vilakazi, CDC head of marketing and communications. Phase one will see the rehabilitation and conversion of existing structures (paediatric ward, administration block and ablution rooms), the erection of new security fencing and the construction of new security control. Phase two will see the construction of the new hospital including demolition work on condemned existing structures. The two phases are expected to create 350 jobs. The CDC is currently working on planning and execution of construction and upgrade projects throughout the Eastern Cape at 14 hospitals, providing maintenance for four provincial clusters, construction of modular housing and managing six nursing college revamps. Some projects are in the planning phase and others are well underway in the construction phase. The ground-breaking comes as part of the Department of Health’s province-wide move to revitalise the health sector. “The quality of the services we give to our people should restore their dignity,” said Gqobana.